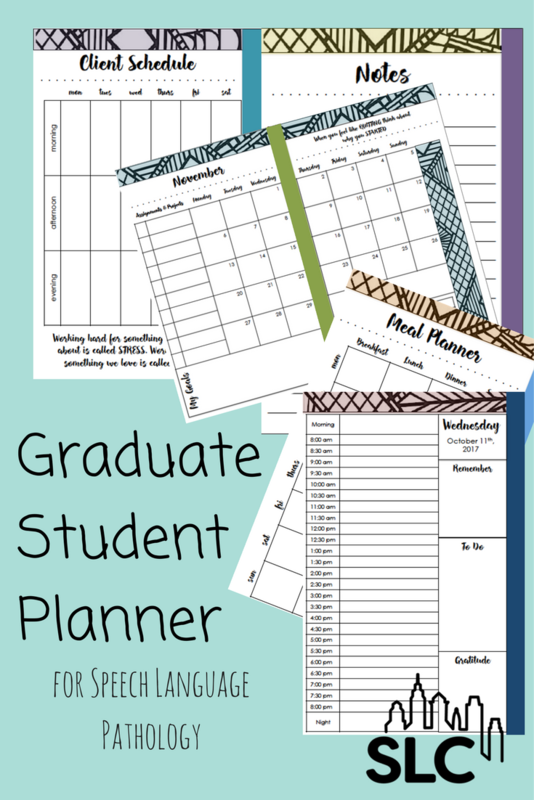 Finally, a planner made just for SLP grad students! You can get yours from my TpT store. 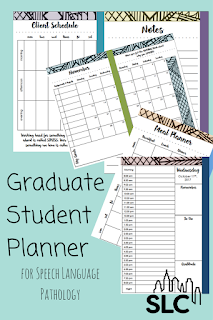 As a master’s student, and now PhD student, I’ve always felt lukewarm about the planner offerings I found both in stores and online. I use my planner for literally everything and try as I might, I just cannot do an electronic calendar. 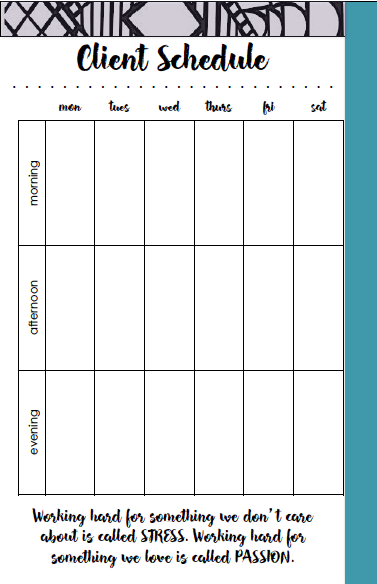 I need space for meal planning and habit tracking, as well as client therapy and class schedules. I’m a minute-by-minute kind of planner, so I also need roomy no-nonsense pages but with some cute borders and inspirational quotes smattered throughout. I never found exactly what I needed so I designed one for myself this year! I printed it at home (cut standard 8.5 x 11 pages in half) and then took it to Staples to have it bound with a sturdy front and back cover. It looks beautiful and cost me less than $10! I thought you might like one too – Did I mention its free?! After you download, you’ll see four files. There’s a black and white and a color version, with an editable copy for each so you can make any tweaks that you’d like. You’ll need PowerPoint in order to edit the files. Both versions are the same with the exception of the color so if you want to mix and match (e.g., cover in color, daily pages black and white) you’re able to do so. 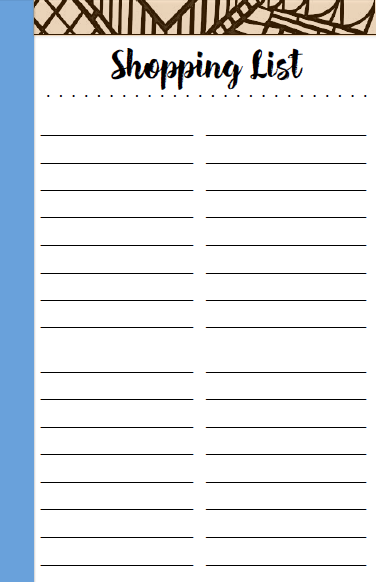 Pages 1-3 should be printed single-sided and 4-241 double-sided. 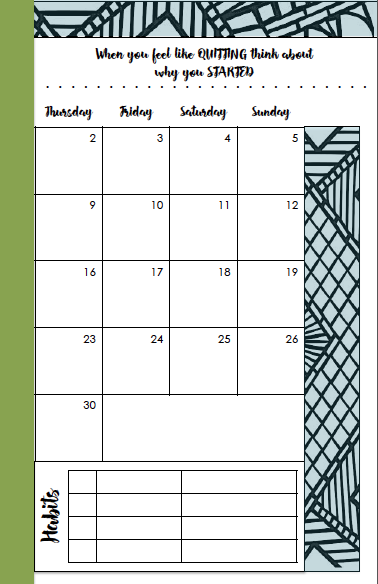 Each month begins with a two-page calendar spread. There’s an assignment tracker down the side to log up to 10 due dates. There’s also a goal setting box and habit tracker (up to 4) at the bottom and inspirational quote along the top. Here’s how to use the habit tracker: Say I wanted to work out three times per week… In the habit tracker I’d pick a color (let’s do blue) and color in the square. Then I’d write the activity (“work out”) in the next box and the frequency (“3 x weekly”) in the last box. 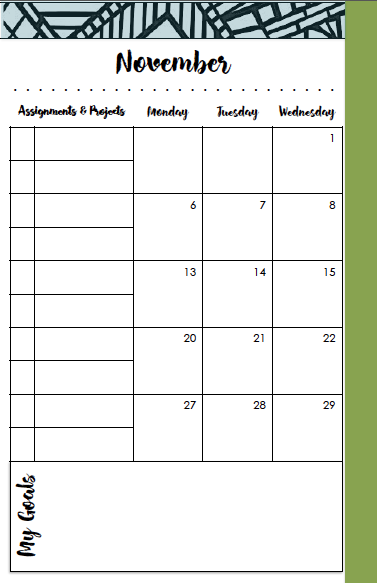 Use the same color to make a dot on the month spread for each day you do the behavior. Just the simple act of tracking your habits holds you more accountable which quickly translates to more success! 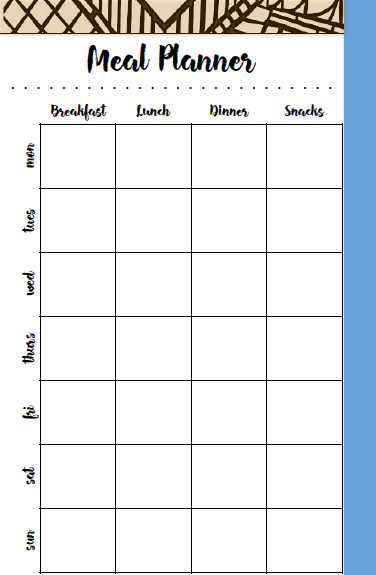 Each week begins with a meal planner to plan out breakfast, lunch, dinner, and snacks. There’s a shopping list on the next page to make meal prep even easier. 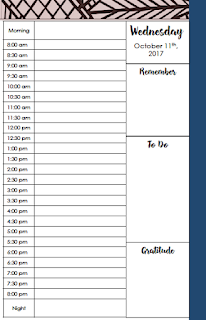 Dated daily pages outline your day from 8:00am-8:00pm in half hour increments (plus a morning and night box for earlier/later activities). 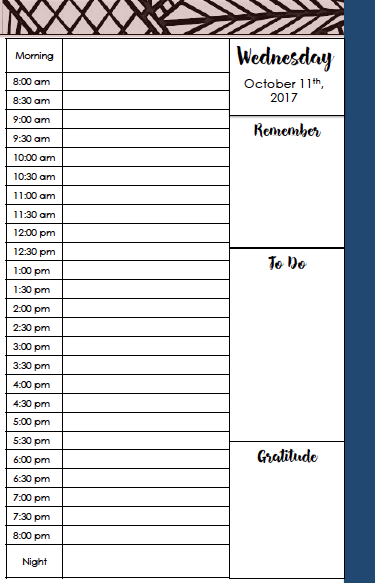 The full page for each day let’s you plan by the minute without feeling too cramped! Three boxes for notes run along the side – “Remember,” “To-do,” and “Gratitude.” I love taking a moment to reflect and re-center at the end of the day. At the end of the week you’ll find a notes page. There’s a few extras put in before each new month too. 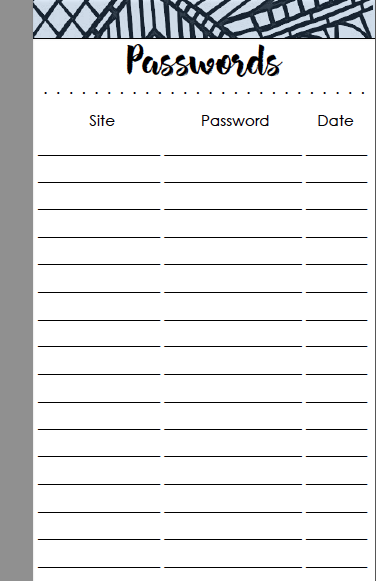 Finally, you’ll find a password log and some New Year’s reflection pages at the end. 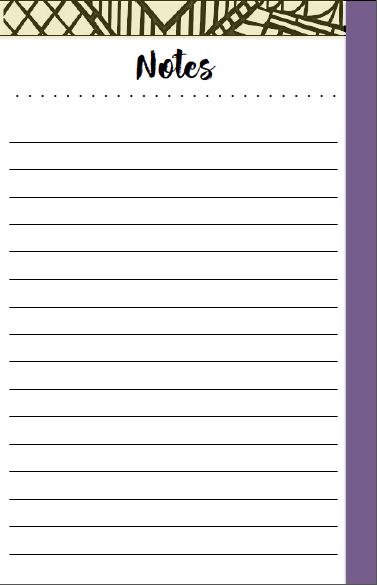 I chose to offer this planner for FREE while I gather some feedback from you. So please take the opportunity to use it! Leave a comment regarding anything you liked or didn’t like, as well as anything you’d like to see added.